“You’re an ecologist, so tell me, should I replace all the incandescent bulbs in my house with fluorescent bulbs? And, what about these new light-emitting diode (LED) bulbs?” Well, I have a reasonably well-informed opinion on this issue, but it’s not really my expertise. “Perhaps then you can tell me more about the problem of invasive species?” Now you’re talking; this is something that ecologists can help with. Ecology is the “branch of biology that deals with the relations of organisms to one another and to their physical surroundings,” and was coined as “oekologie” by the German biologist Ernst Heackel in the 19th century from the Greek oikos meaning “house” and ology “the study of”. Ecology is, literally, the study of where living organisms live. By contrast, Environmental Science is a broader, interdisciplinary field in which ecologists work with other physical, chemical, and biological “ologists” to study and seek solutions to environmental problems. It’s a fine line between the two, but one role of ecology is to inform environmental science. I’m a plant ecologist, and like to think that I’m seeking to understand Dürer’s famous painting “Das Groβe Rasenstück”. 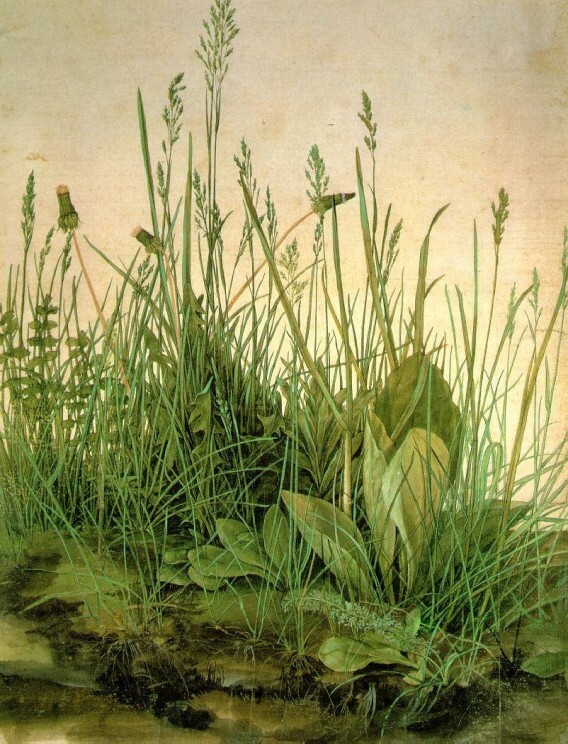 Described as a “habitat fragment,” Dürer’s painting (below) is one of the first botanically accurate illustrations of plants in a natural environment. It’s so accurate that we can identify in it over 20 different species (e.g., smooth meadow grass, greater plantain). Looking at this masterpiece, a host of ecological questions come to mind related to important concepts such as competition versus facilitation, community assembly, seedling establishment, limiting factors, population growth, etc. I discuss this painting with students in ecology classes and reproduced it on the cover of my 2002 book. So, what can ecologists contribute to environmental science? Some of the current “hot topics” and challenges in ecology have an important bearing on issues in environmental science including the problems of non-native invasive species, preservation of biodiversity, use of biofuels and GM crops, and the effects of climate change. Sometimes the debate can get heated as when Mark Davis and colleagues suggested that we shouldn’t “judge species on their origins” as some non-native species may not be as bad as portrayed. Their paper, published in the high profile journal Nature ignited a firestorm of reaction across the internet. Right or wrong, their paper sparked a useful debate. Less controversial, but equally valuable was a study published in Journal of Ecology by Karen Robbirt and colleagues that used herbarium specimens dating back to Victorian times along with good old-fashioned quadrat counts of the spider orchid (Ophrys sphegodes) to document an advance in flowering time associated with climate warming in southern England. Although not controversial, this study was picked up by the media worldwide highlighting the importance of botanical collections and basic ecological field work to address a topical issue. Not as bad as we think? 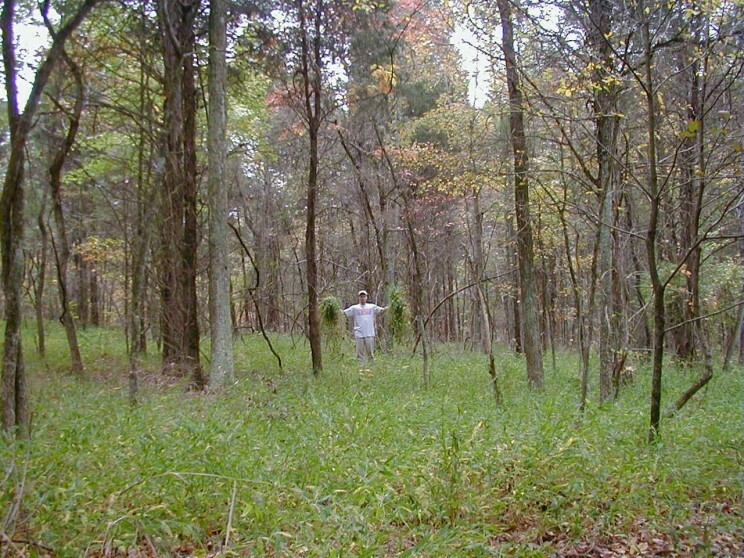 The non-native Japanese stiltgrass (Microstegium vimineum) dominates the understory of an Illinois forest. Photo by David Gibson (©). Disparaged by some philosophers as a “soft science” whose highest aspiration is to make the discipline “as hard as physics”, ecology is instead, a most fascinating branch of life science that transcends the hallowed halls of academia to address important and timely issues of environmental science set against the backdrop of evolution. It allows those of us with a love of nature to make a useful and important contribution. David Gibson is Distinguished Professor of Plant Biology in the Center for Ecology at Southern Illinois University Carbondale. He is Editor in Chief of Oxford Bibliographies in Ecology, Editor of Journal of Ecology, and a Fellow of the Society of Biology. He has published two books with Oxford University Press, Methods in Comparative Plant Population Ecology in 2002 and Grasses and Grassland Ecology in 2009. Follow his tweets @davidjohngibson. Subscribe to only environmental and life science articles on the OUPblog via email or RSS. Visit Oxford Bibliographies Online for exclusive, authoritative research guides, combining the best features of an annotated bibliography and a high-level encyclopedia. Oxford Bibliographies in Ecology will launch in late May. Thank you for pointing out the important distinction between ecology and environmental science. I can’t tell you how many biologists themselves do not understand the distinction. Although many environmental scientists perform more as ecologists and vise versa, they are not the same thing.